“Good. And then prove it, my dear princess “He said as he stroked my hair. The conclusion of the story rang in my ears as my daddy explained it’s moral.God gives us a Cross to bear and he knows we be able to handle it. Each Cross was designed for us, and we will be the one that becomes a better person because of it. Like coal under intense pressure, it will become a diamond. There isn’t another cross more perfect for us, and no one else’s cross can replace it. So since then, when I am challenged and am feeling weak, I remember this story, and I know that I need to give it to God. He knows I can handle it, and if I get tired He is the one that will help me continue on. 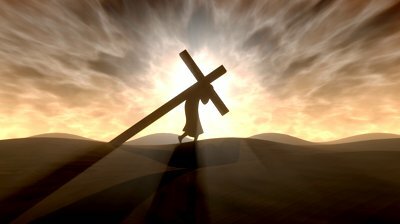 And in the end, it’s not about the burden at all; what’s important is how you bear your cross and what you learn from the journey. Too often we think our burdens are the heaviest until we see the burdens that others carry. Great allegory about the cross! Helps put things in perspective. It’s all relative. Everyone has their crosses, even though you might not be able to see it on the outside. Thanks for the writing! You are welcome. Thank you so much for your comment and reading my blog 🙂 Blessing to you.